나트랑, 베트남의 비타민 시 호스텔 - 냐짱 @다운타운 | 호스텔월드에서 예약하세요. The hostel is located in very central location, just a stone's throw to the biggest shopping mall in town and 5 minutes walking to the beach. Though located in the center, the neighborhood is less touristy than other areas in the city. With 5 floors, there are 18 rooms with fully equipped facilities such as air conditioner, mini bar and beach theme furniture. 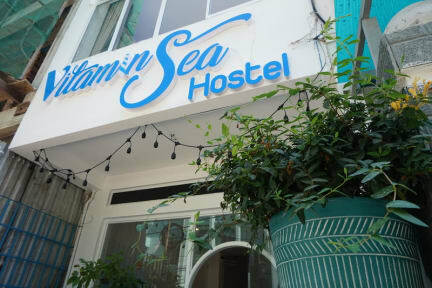 Vitamin Sea Hostel 2 - Nha Trang will give you an experience peaceful lifestyle of local people, the location of the street in the center of town, near the sea, close to the train station, bus station, the local market and others travel place.